The volatile match between Leverkusen and Dortmund last weekend was, in a way, a mirroring of the spirit of this league. The aggression that spilled over was born of passion and the stubborn refusal of Leverkusen’s manager to leave the dugout was typical of the way that the football is played; without compromise. Bayern Munich remain in the driving seat for a fourth consecutive league title with Dortmund the only club capable of catching the Bavarians. Let’s delve into another week of fascinating fixtures. Cologne’s stretch of three matches unbeaten was ended away at Borussia Monchengladbach last weekend. The Billy Goats conceded early and the single goal was enough to see them off. Cologne remain safe in mid-table and will sense an opportunity against this week’s visitors. Hertha Berlin rescued a point at home against Wolfsburg through the boot of Salomon Kalou. The stalemate kept the Old Lady in third-place in the league although results of late have been far from forthcoming. They’re without a win in five Bundesliga matches but have drawn four - proving a tough team to beat. Hertha Berlin to Win or Draw on the Double Chance is the tip at 13/20. Wolfsburg were once again denied celebrations away from home as Marcel Schafer’s goal was cancelled out by Hertha Berlin. It’s been a disappointing season in the league for Wolfsburg, who lie eighth on the table and have picked up only one win from their last five matches. They were the team closest to challenging Bayern Munich last season and beat the German giants 4-1 just over a year ago. Munich went into the halftime break 1-0 down to a severely depleted Darmstadt last weekend, yet turned things around in the second half and came away 3-1 winners. 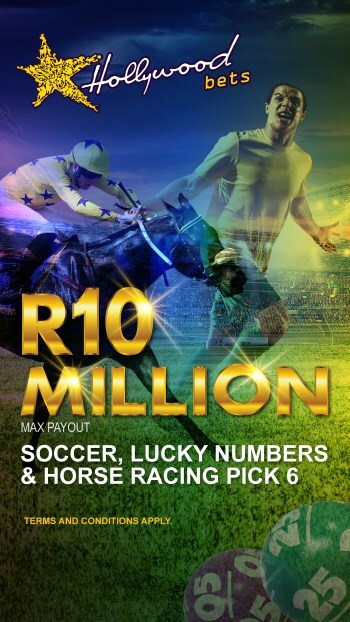 They still possess an eight-point cushion at the top of the table and should claim the away win at 4/10. Hamburg picked up a point from a goalless draw in a match of few chances in Frankfurt. It left the club unbeaten in their last three league fixtures and also seven points clear of safety in mid-table. A victory over Ingolstadt would see Hamburg leapfrog the promoted club, who are two points ahead in 10th. Ingolstadt defeated a miserable Werder Bremen last weekend 2-0 and know that if they collect points from matches such as this one, they’ll almost certainly stay in the top flight. Under 2.5 Goals is my tip at 11/20. Stuttgart have been simply sensational in recent weeks. They managed five league wins on the trot before travelling to Schalke last week and securing a 1-1 draw. Things are looking up for the club, who’ve spent the majority of the past two seasons mired in relegation. Hannover were beaten 1-0 at home by Augsburg last weekend which resigned the struggling club to six straight losses. Lying rock bottom of the league having lost 16 of their 22 matches thus far, it will take a miracle for the club to remain in the top flight next season. Back the home win at 11/20. It was another poor outing for Werder Bremen last weekend, who lost 2-0 to Ingolstadt. The pressure is well and truly on manager Viktor Skripnik as the club are two points from safety and battling a poor run of form. Facing another promoted club this week means that they simply have to collect three points or face the very real possibility of the drop. Darmstadt lost to Bayern Munich as expected but gave a good account of themselves in the first half, taking the lead against the run of play. They’ll welcome back almost half of their first-choice side who served suspensions in their last outing. Despite Darmstadt having been a tough side to beat all season, something has the give for Werder Bremen. 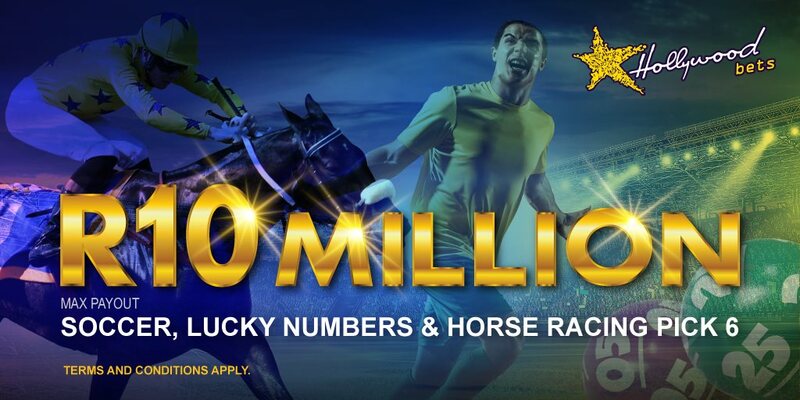 The home win at 21/20 offers good value. Augsburg grabbed a 1-0 win on the road at basement boys Hannover that has seen the club pull four points clear of the bottom three before their trip to Anfield on Thursday. Koo Ja-cheol scored the only goal of the game in what has been a difficult season for Augsburg. Gladbach secured a slender 1-0 win over Cologne in the Rhineland derby with an early goal from Mahmoud Dahoud. Despite creating numerous chances, the Foals were unable to add a second but happily collected all three points in their challenge for a place in the Champions League next season. This is a tough one to call as neither side has looked exceptional this month. However, the away win at 16/10 is the logical call given the way that the season has transpired. 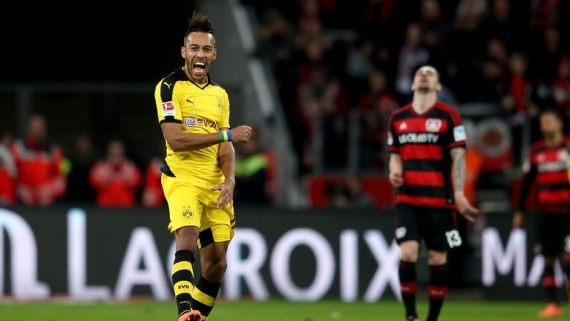 Dortmund came away controversial 1-0 winners at Leverkusen in a heated match that was settled by Pierre-Emerick Aubameyang. A free-kick was awarded in BVB’s favour which they took quickly and caught Leverkusen on the break. Whether the free-kick should have been awarded to Dortmund in the first place is contentious. Nevertheless, Dortmund remain eight points shy of Bayern Munich and must simply hope that the Bavarians implode in a manner similar to the end of last season. Hoffenheim’s hopes of survival were revived with a 3-2 victory of a Mainz side in good form. However, they should be outclassed in this fixture. Dortmund have been less than clinical lately but the Halftime-Fulltime Double at 11/20 is still worth a punt. 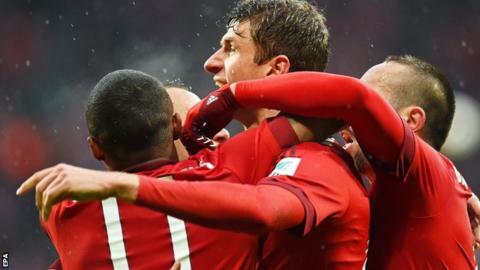 Mainz’s run of three consecutive wins was ended by a hopeful Hoffenheim performance last weekend. Mainz looked dead and buried following Hoffenheim’s third but Jairo Samperio conjured a goal to set up a thrilling finish. The final result was 3-2 and saw the club drop to seventh in the league. Roger Schmidt refused to be sent to the stands in Leverkusen’s defeat by Dortmund. The charged atmosphere on the pitch spilled into the dugout and after the manager refused the referee’s wishes, the official took the players off the pitch and the match was suspended for the better part of 10 minutes. Leverkusen could not find a way back and were leapfrogged by Hertha Berlin in the standing, leaving the club in fourth. I’m going against the grain here and tipping the home win at 28/10. Frankfurt played out a dire goalless draw at home, much to the vocal displeasure of their supporters. Frankfurt are now just a mere two points away from the relegation zone and will need to find something special in a dreary season in order to beat the visitors. Schalke will be somewhat pleased by a 1-1 draw at home to Stuttgart, despite being the hosts. Younes Belhanda put Schalke in front but they had their goalkeeper Ralf Fahrmann to thank for keeping the lead so long. Stuttgart were well on top for most of the match and Schalke will need to be much improved on their visit to Frankfurt. I’m tipping them to come away with the three points at 12/10.